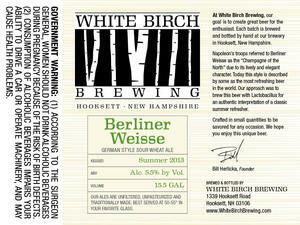 White Birch Brewing Berliner Weisse is brewed by White Birch Brewing LLC in Hooksett, New Hampshire. This brew is served on tap. We first spotted this label on May 19, 2013.